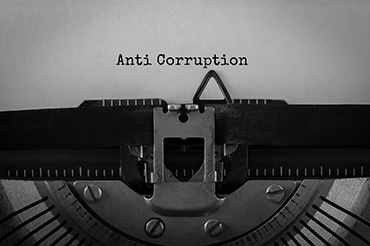 The Independent Commission Against Corruption (ICAC) is an independent commission which aims to reduce corrupt activities in order to ensure that public confidence is maintained and protected. ICAC also monitors the conduct of NSW public officials in the Public Sector. ICAC was established in 1988 and is governed by the Independent Commission Against Corruption Act 1988. What is the structure of ICAC? ICAC conducts independent operations and investigations. This means that politicians (including political parties), government officials, state corporations and even government ministers, do not mandate the investigations conducted by ICAC. The ICAC is divided into 4 divisions: Investigation, Corporate Services, Corruption, and a Legal Division. • Ask the agency to investigate the matter and report back to ICAC. • Refer the matter to another agency if ICAC does not have the authority to deal with it. • Make assessment enquiries to decide whether to take no action or further action. • Give corruption prevention advice to an agency concerned. • Officially commence an investigation. If ICAC finds that an official has acted corruptly, the charges will be referred to the Director of Public Prosecutions (DPP) for criminal charges to be laid under the criminal justice system. What powers does ICAC have to compel witnesses to give evidence? The commission has the strong-arm powers similar to at royal commission and can compel witnesses to testify in both Public and Private hearings. There is no right to silence for witnesses called to the Commission and failure to testify (along with misleading the commission) can lead to five-year jail terms. There are only limited controls on admissible evidence, which may be obtained by compulsion and coercion or other means that would make it inadmissible in a court of law. What are some examples of recent ICAC investigations? In 2015, ICAC investigated allegations concerning public official Jason Meeth, employed at the University of Sydney as a Head of Projects ICT. It is alleged that he dishonestly contracted work to ICT contractors through an unaccredited IT consulting service, Canberra Solutions Pty Ltd. The University’s directions for such a recruitment required contractors to be recruited under a NSW Government-accredited C100 company. ICAC also investigated allegations in 2016, concerning the Chief Financial Officer, Gary Goodman, of Botany Bay. It was alleged that he, along with other employees, exercised their official functions to financially obtain benefits for himself by using council resources as well as causing payments greater than $4.2 million to be made by the council to themselves and other entities. The investigation was in 2015 / 2016 and proceeded to public ICAC hearings. If you receive a summons to give evidence at a compulsory examination or public inquiry, it is important you seek legal advice. Answering questions and producing documents which are required from you might incriminate you. It is a criminal offence to fail to attend the hearing or to refuse to answer relevant questions. We strongly recommend that you obtain legal representation before any ICAC hearing. There are rights to object to certain questions. Nyman Gibson Miralis Criminal Defence lawyers can represent you at the hearing and ensure protection of your rights. We have extensive experience having appeared in a number of inquiries. With the help of one of our experienced Sydney criminal lawyers, we may be able to assist in avoiding criminal charges. What are the functions of the Crime Commissions? The New South Wales Crime Commission (NSWCC) and the Australian Criminal Intelligence Commission or ACIC (formerly Australian Crime Commission or ACC) are organizations authorised by legislation with significant powers to investigate serious criminal offences, to investigate the activities of persons of interest or persons suspected of being involved in criminal activity or having knowledge of criminal activity. Such activity can include for example murder, drug supply, guns and arms dealing, violence offences, money laundering and corruption. If you are before the Crime Commission, criminal defence lawyers that can advise you of your rights are essential. At Nyman Gibson Miralis, we fully understand your rights and obligations. We know the exacting detail required in the preparation of financial affidavits and legal documents that must be filed or lodged under compulsion. Can you claim the right against self incrimination at the Crime Commission? There is no right against self incrimination in proceedings in the Crime Commission. A person appearing before a hearing is compelled to answer all questions and must be acutely aware of when it is appropriate to object to answering a question to protect their future legal rights. Failure to do so can have extremely serious consequences. Failure to answer a question can lead to arrest for contempt. By following the advice of one of our criminal defence lawyers, a person giving evidence or dealing with the Commission will not find themselves the subject of a prosecution for perjury. Can the Commissions restrain property and on what grounds? The Commission has the power to seek and obtain Property Restraining Orders from the Supreme Court. Such Orders stop a person from dealing with or disposing of their property pending an investigation into their financial position. This can involve an Examination Hearing in the Supreme Court where all financial records, including bank statements and accounts, taxation records and business records are scrutinized. The Commission may try and determine whether a person is living above their means, or living off or profiting from the proceeds of crime. Persons caught for example with drugs in their house might risk losing the house – including the share of any joint tenant, such as their spouse. Cars, boats, jewellery and cash are regularly seized and often forfeited. It is important to know that you do not need to be convicted or even charged with a criminal offence to find yourself before the Commission. The penalty for being improperly represented, or unrepresented could be significant. ICAC and public corruption inquiries: What evidence are witnesses and affected persons entitled to? When does the ICAC decide to hold public inquiries? What is the Purpose and Function of the ICAC? How does the NSW Crime Commission Confiscate Assets? What happens if I've received a Summons to attend the NSW Crime Commission? How does Australia’s main criminal intelligence agency combat international crime? What are the powers of the Australian Criminal Intelligence Commission (ACIC)? How does client legal privilege operate in the Australian Criminal Intelligence Commission (ACIC)? How does the Australian Intelligence Commission (ACIC)'s Fusion Capability gather information about you?